NEW HARMONY, Utah, Dec. 27, 2017 (Gephardt Daily) — The parents of an 8-year-old boy left fighting for his life after he fell through pond ice on Christmas Eve have shared a health update on the child, named Jason. He is doing “very well,” according to information his family released to the Washington County Sheriff’s Office. The story made national headlines after WCSO Sgt. Aaron Thompson risked his own life by breaking through the ice with his fists to search for the boy, who lay unconscious on the bottom of the pond. “The father reports that 8-year-old Jason is doing very well, describing his encounter as ‘A Christmas Miracle,'” said a statement released Wednesday afternoon by the Washington County Sheriff’s Office. Family members asked for privacy so they could focus on Jason’s ongoing recovery, but said they wanted to thank the public for “the prayers and thoughtful messages they have received during this difficult time,” the statement said. Thompson spoke to reporters on Tuesday, a day after he bashed through the pond ice to find and rescue the boy, who had run onto the ice chasing his dog, who was not hurt in the incident. Thompson — one of the first responders on the scene, near the 3100 East block of 2500 South — said he had been on the county’s dive rescue team for several years. “I knew how cold the water was,” and about how long he had to find the child, he said. Jason was taken to Dixie Regional Medical Center, then transported by helicopter to Primary Children’s Hospital. 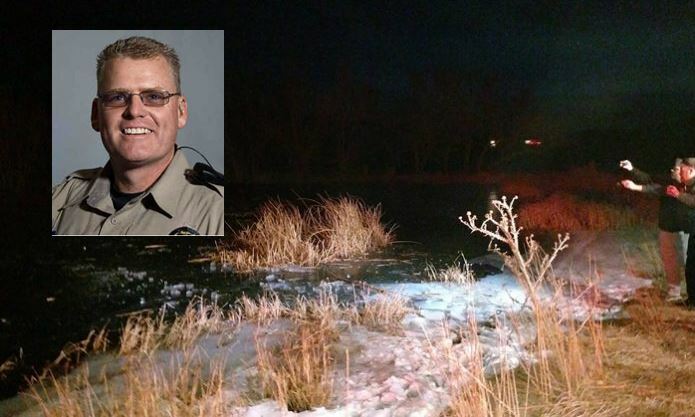 Thompson told reporters that on Monday afternoon, he had heard the emergency call and was one of the first to arrive at the pond. A woman there said she had seen the boy alive about four minutes earlier. A friend of Jason had run to get help after the ice gave way beneath the boy. Thompson told reporters that young children have been saved as much as an hour after falling into frigid water, depending on the water’s clarity and how fast the victim’s metabolism was able to slow down, among other factors. So Thompson rushed out onto the pond’s frozen surface, to where the woman said she had seen the boy, and the sergeant began forcefully breaking through the ice, hitting the ice again and again to make a path and move himself forward. When Thompson got close, he dove under the ice multiple times, and finally spotted the child beyond the ice he had broken through. By the time Thompson headed back the 25 feet to shore, there were more rescue crews to assist him and the child. When he had headed out, it was only him and a Gold Cross paramedic standing on shore. That paramedic had offered to go in the water as well. “I told him I needed him there (on shore), so if I got tangled he could come rescue me,” Thompson said. Back on shore, paramedics immediately began treating the boy, so Thompson went to his patrol car to warm up and assess his condition, he said. “I was in bad shape,” he said. Firemen treated him for hypothermia, and he was taken to Dixie Regional Medical Center for more treatment and for stitches for cuts caused by smashing his fists into the ice. Thompson said he also suffered nerve damage from pounding the ice so many times, but as of Tuesday morning, he was beginning to get some feeling back in his hands. He was released from the hospital Monday night, he said. Thompson may have been the one to jump in, he told reporters, but he did not consider himself the hero. I am so happy to hear about the rescue of this child! I am so grateful for those who gave it their all! Thank you! SGT, your modesty becomes you, and recognizing the team is altogether fitting and proper. But you went into the water alone, and went under alone, and pulled the boy out alone. You, sir, did a heroic deed and you are, in fact, the very model of a hero. Great story of mankind risking life to save another. God saw it. If that man or his loved ones come into crisis, God will hear his prayer. 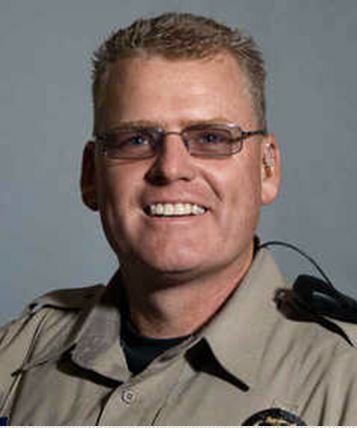 God Bless the Good Officer and his Family – May our Lord richly bless him and keep Jason’s guardian angel near by for his complete recovery – Thanks You Jesus!! !